to make routine operations deadly. can't multiply and can't survive. The UK government commissioned report published in 2016 by Jim O’Neill, highlights the growing problem of antimicrobial resistance (AMR). This is particularly evident for Gram negative bacteria, where resistance is now emerging to even last resort antibiotics, such as colistin. The report suggests that unless action is taken, the global burden of deaths from AMR could balloon to 10 million lives each year by 2050. Phico Therapeutics is a biotechnology company developing a novel platform technology which it believes could form the basis for a new generation of antibiotics to overcome antibacterial resistance. Dr Martin has more than 25 years' experience in providing life science and biotechnology companies counsel on a range of strategic, management and funding issues, including as Chairman of anti-infectives company, NeuTec Pharma plc, where he played a pivotal role in guiding the company’s sale to Novartis for over £300M. Our SASPject™ platform delivers pan-spectrum anti-bacterial proteins called small acid-soluble spore proteins, or SASPs, to selected bacterial species using targetable nano-delivery vehicles (NDVs). SASPject™ works by injecting a gene that encodes SASP directly into the targeted bacteria. The injected gene then produces SASPs, which bind to bacterial DNA and inactivate it. SASPs “turn off” DNA so the targeted bacterial cell cannot metabolise or reproduce. The immune system can then remove the bacteria from the body. SASPs bind to all bacterial DNA, irrespective of the sequence of that DNA. 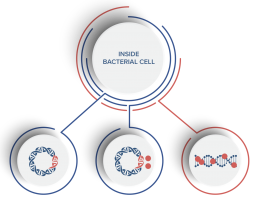 Spontaneous mutations in DNA, or the import of new DNA that gives new characteristics to the bacterial cell, are key ways in which bacteria develop resistance to antibiotics. Neither of these strategies affects the ability of SASP to bind to and inactivate bacterial DNA. SASPject technology can be used to target any selected bacteria, individual or multiple bacterial species or genera, including those that are multi-antibiotic resistant. Unlike conventional antibiotics, SASPject has no effect on any bacteria other than those at which it is targeted. Normal skin and gut bacteria (“good bacteria”) are unharmed. SASPject target specificity prevents the release of toxins and other inflammatory cell components from non-target bacteria thus potentially minimising associated side effects. Our SASPject™ platform delivers pan-spectrum anti-bacterial proteins called small acid-soluble spore proteins, or SASPs, to selected bacterial species using targetable nano-delivery vehicles (NDVs). SASPject™ works by injecting a gene that encodes SASP directly into the targeted bacteria. 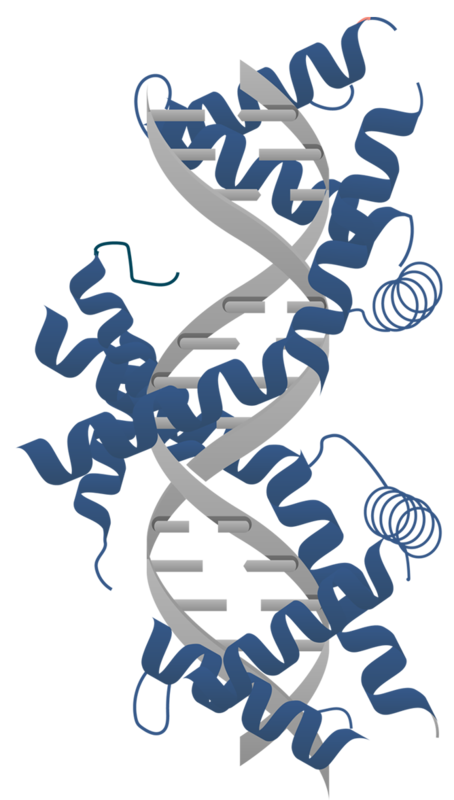 The injected gene then produces SASPs, which bind to bacterial DNA and inactivate it. SASPs “turn off” DNA so the targeted bacterial cell cannot metabolise or reproduce. The immune system can then remove the bacteria from the body. SASPject™ PT3 is being developed against Pseudomonas aeruginosa. These infections can involve any part of the human body, but most commonly cause urinary tract, lung, bloodstream, wound/burn, and intra-abdominal infections. P. aeruginosa is responsible for a number of hospital-acquired infections with its incidence in intensive care units having risen sharply and its incidence almost doubling between the mid 1970’s and early 2000’s. The increasing incidence of P. aeruginosa of strains showing multi-drug resistance against commonly used first-line antibiotics has resulted in the U.S. CDC (Centers for Disease Control and Prevention) classifying P. aeruginosa as a serious threat to human health. The PT3 project has been supported by Innovate UK. SASPject™ PT4 and SASPject™ PT5 are being developed for systemic (intravenous) use against both Klebsiella pneumoniae and Escherichia coli respectively. These bacteria cause a wide range of infections, which can be serious or life threatening as isolates which are resistant to almost all conventional antibiotics continue to spread around the globe, resulting in very poor treatment outcomes. PT4 and PT5 projects are supported by a Wellcome Translation Award. SASPject™ PT1.2 targets Staphylococcus aureus, including MRSA. MRSA infections are now a global problem in hospitals, with thousands of fatalities recorded as a result of their presence, and their control is vital to many national health systems. SASPject™ PT1.2 will be used for the intra-nasal decolonisation of the bacteria. A Phase I clinical trial has been successfully completed. PR Growing UK Biotech Company. Phico moves forward with global fight against antibiotic resistant ‘superbugs’, raising more than £3.5M to take its lead PT3 program into the clinic. Dr Heather Fairhead, Phico’s CEO, talks to Dotty McLeod on the Breaksfast Show during World Antibiotic Awareness Week 2015. Dr Heather Fairhead, Phico’s CEO, is interviewed as part of an article on antibiotic resistance, during the 2015 World Antibiotic Awareness Week. Radio Interview with Phico Therapeutics’ CEO, Dr Heather Fairhead. Heather discusses the problems we are facing with antibiotic resistant bacteria. Interview with Dr Heather Fairhead, Phico’s CEO, following the call to arms for development of new antibiotics by Professor Dame Sally Davies, UK Chief Medical Officer. Article on Dr Heather Fairhead, Phico’s CEO. Phico Therapeutics and its technology features in the pages of Wired Magazine.